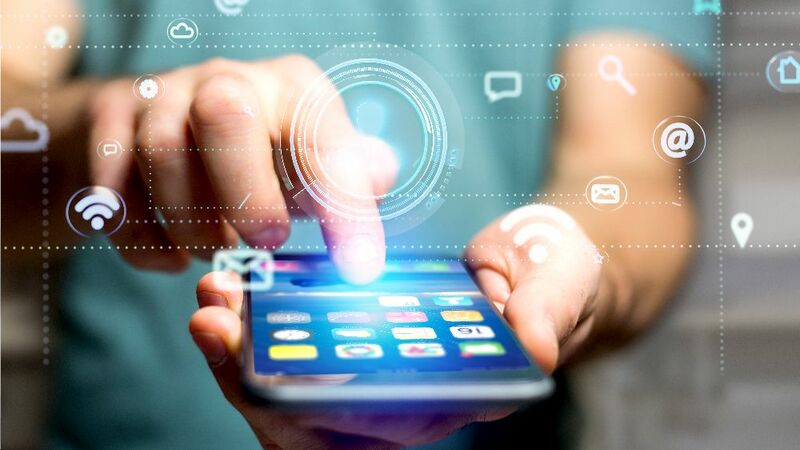 Wondering how to hide an app in an Android Phone for Free? Read on. 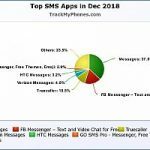 You are using a dating app and don’t want your gf/bf to know or have installed a tracker app on your kids phone and dont want them to uninstall? you will need to hide the app icon. 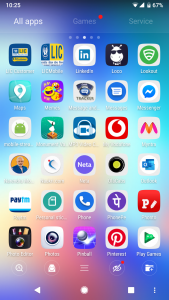 If the app by itself does not have an option to hide icon then android OS is of no help either as it doesn’t allow hiding of icon from app drawer. You will need to override the default launcher of Android and install another launcher which has the feature to hide apps. There are many launcher apps on Google Play Store. 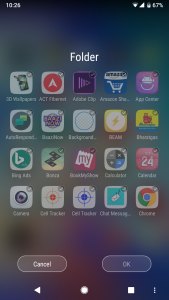 Nova Launcher and Go Launcher and 2 free apps which allow hiding of app from app drawer. We will look how to install Go Launcher and hide an app. 2. 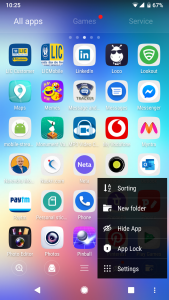 Once installed Open the app and give storage permission for Launcher to access Wallpapers stored in phone. 3. Click on the menu option to list all apps. You will find 3 buttons at the bottom right corner. 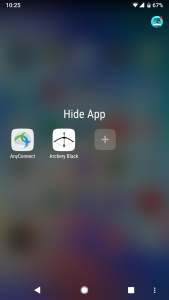 Click on it and you will find “Hide App” option. 4. Select App you want to hide. The app might ask you to set pattern at the first launch so that only users with authentication can access the hidden app list. That’s it. 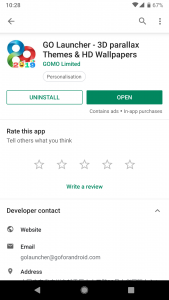 Now you can install app and hide it without user getting to know about the app. Make sure to press the “home” button once and set “Go Launcher” as permanent launcher by selecting “Always”. 1. App icon in home screen will still be visible. So make sure you delete the icons (shortcuts) from home screen before hiding it. 2. App will still be visible in Settings -> Apps list. 3. App will be visible once Launcher app is uninstalled and the old layout is restored. 4. Notification from the app will still be displayed. If you want to hide all notification then long tap on app icon -> App info -> Notifications -> Disable all notification, before you hide the app icon.